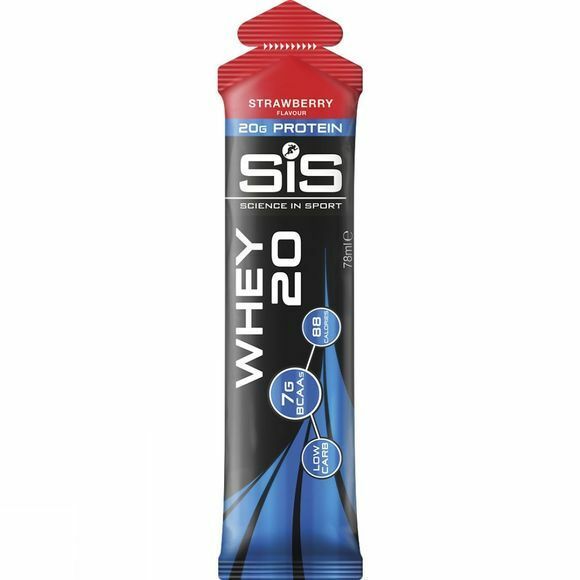 SiS Whey 20 Gel is the latest addition to the SiS protein range, offering high quality whey protein hydrolysate in a ground-breaking format. The yogurt-like texture tastes great and removes the need for a shaker and water for your post-training protein or a high protein snack on the go. The product contains 20g of dairy protein, which gives a high level of BCAAs at 7g per serving. With only 1.8g of carbohydrate, 0.1g of fat and a total of 88 calories in each serving, the product lets you focus on quality protein intake with no unwanted calories or added sugar. Water, whey protein hydrolysate (milk, 20%), quark (milk), natural flavouring, acidity regulator (citric acid), stabiliser (pectin), sweeteners (sucralose, acesulfame K), preservative (potassium sorbate).